Relentless Bride® Weddings, Wedding Planning, Life & Marriage: Blogger Award Wednesday! In the last week, I've been given two blogger awards from some new found blog obsessions that i have. So in the spirit of passing on blogger awards, here are the two awards. i follow bride blogs, wedding blogs, mommy blogs, newlywed blogs, neighborhood blogs and foodie blogs. I love blogs. Hungary because that is where some of my husband's ancestry traces back to. Blush, on my skin tone probably less noticeable than one prettied up eye. and this is from Nini at Nini Says blog. (and today is her birthday!! YAY Fellow Aquarian!). 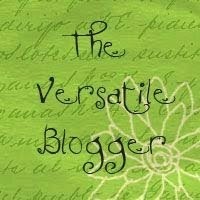 Thanks for the blog award and for becoming my new blog buddy! 1.Thank and link back to the person who send you this award. 4. Contact the bloggers you picked and let them know about the award! My name Amy Jean has the chinese characters that stand for a/eh (love)愛 mi (beauty) 美 Jin (truth) 真.
I'm obsessed with mushrooms and pesto. I can do almost anything, but never truly Excel at any one thing. In other words, i am pretty mediocre at a lot. I am an Anaheim Angels Fan, a LA Lakers fan, an Indianapolis Colts fan. In an ideal world, I'd have a son named Elijah, daughters named Peyton and Olivia and two pups named Archie and Cooper... i.e., the Manning Family. Now to name some great bloggers out there... firstly, I need to give Alison the Stylish Blog Award and Nini the Versatile Blogger award since they are both and deserve both honors. 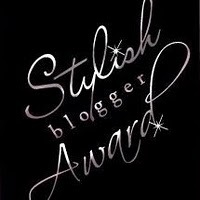 And the remaining Stylish and Versatile Blog awards go to. Kassi - My road to Mrs.
And that's only to name a few of my faves!!! :-) So pass on the goodness !!! I love how you have names for your family after the Manning family! I absolutely love Peyton Manning! And my dads name was Archie and we name our cat after him! wahoo! Thanks girl...a shout out from you means a lot!! Thanks, AJ! :) How are you feeling? Hope we can do HH soon! THANK you sweetie!! You are awesome!!! :) I will be sure to pass it on! Here's my thank you for the Stylish Blogger. Thank you SO much for the award! It was a pleasant surprise and brought a huge smile to my face! I'm so glad we've reconnected through blogging again! As happy as I was to see my name, I never got around to answering! Maybe one of these days... 2 kids will really put a hurting on getting things done!